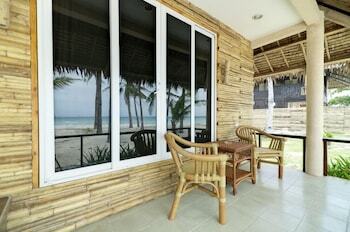 A quality accommodation is needed if you’re heading to a beautiful beach paradise like Cebu’s Bantayan. Tourists from different parts of the world are mesmerized with its curved, white shoreline and sandbar as well as its cool and calming waters that will take you away from the bustling city. 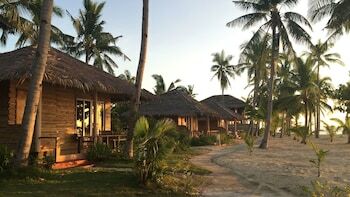 If you are planning to visit one of Cebu’s best islands soon, you must consider lodging at Kota Beach Resort, a three-star paradise that has been standing for more than three decades on the island of Bantayan. Located at the heart of Sta. 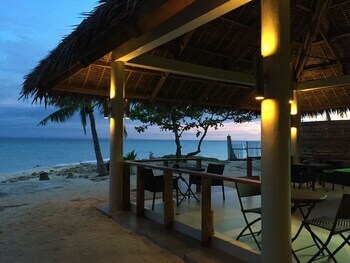 Fe in the southeast part of Bantayan Island, Kota Beach Resort is a haven of tranquility that will make you experience what it’s like to live the tropical life. 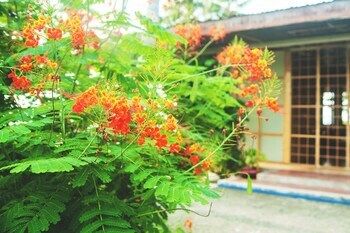 As it occupies a secluded spot on the island, it offers unobstructed views of Bantayan’s simple yet marvelous beauty. Also interesting to note is that Kota Beach Resort has been standing on Bantayan Island’s long stretch of white and powdery sands since 1986. It has been attracting local and foreign visitors for many years now, promising the serenity and quietude that city dwellers are in search for every time they visit the island. Its location is a testament that a paradise with such beauty will never remain unnoticed. 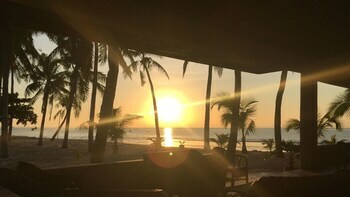 In 2016, it became a well-known destination as Kota Beach Resort has become the main setting for the movie Camp Sawi (Camp for the Broken-Hearted). 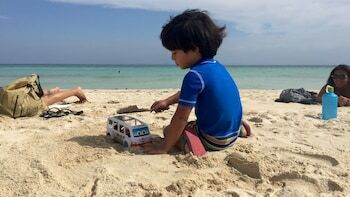 Since then, more and more peace-seeking travelers decide to stay at Kota and the rest of Bantayan Island. And even though the destination is a long ride, your journey is absolutely worth it. Your stay on an amazing tropical beach will only get more surreal when you get hold of an accommodation that’s affordable yet relaxing. 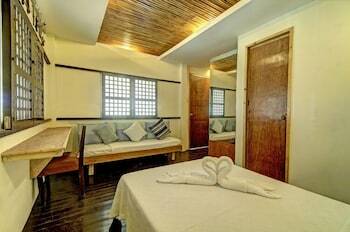 They offer cottages and suites which range from PHP 900.00 to PHP 3,800.00. 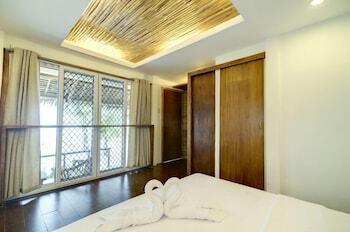 All their rooms are tropical-themed and were built to resemble Nipa huts, complete with sawali covering the roofs and bamboo sticks. You can expect to have basic room amenities while you’re there, so even if you travel light, you can be assured that you’ll have some of your needs covered. For people who love the natural breeze of the ocean and don’t mind spending the night without air-conditioning, then Kota’s Standard Non-Aircon Room is the choice for you. 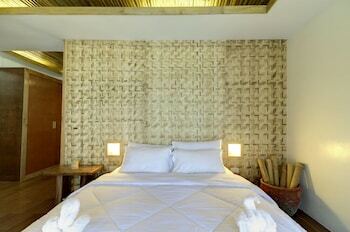 Each room is equipped with either a double-size bed or two single beds. It also has an outdoor terrace where you can enjoy watching the ocean and the shore. 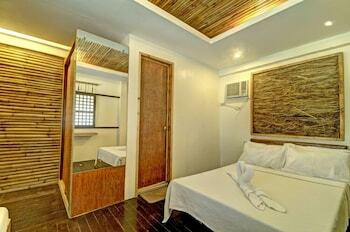 You can get this accommodation for only about PHP 900.00. Kota’s Standard Aircon Room is the fraternal twin of their Standard Non-Aircon Room. They have similar features; only this room has an air-conditioning unit. 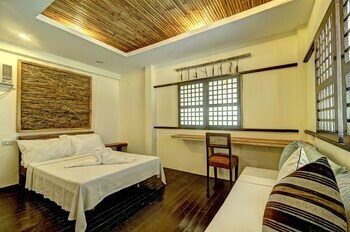 Interested travelers can get this accommodation for only around PHP 1,400.00. 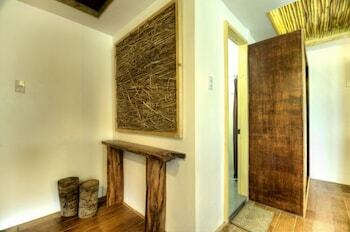 Deluxe Cottages are fully air-conditioned Nipa hut accommodations. They are placed from the second to fourth rows of the beachfront accommodation area, allowing stayers to have easy access to the beach. Perfect for a small traveling pack on a tight budget, Deluxe Cottages are furnished with a double-size bed and a day lounge sofa. 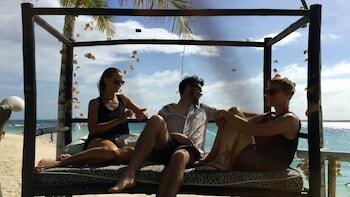 It also has a wide outdoor terrace where you and your friends can enjoy the resort’s breathtaking view. Cottages on the second row are priced at around PHP 2,500.00 while those on the third and fourth rows are around PHP 1,900.00. 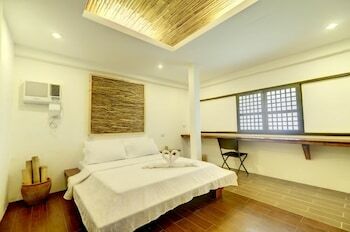 Perfect for couples and travel buddies who crave for an unobstructed view of the beautiful Bantayan Island, Beachfront Cottages are fully air conditioned rooms and furnished with a queen-size bed, a personal refrigerator, and hot and cold shower. 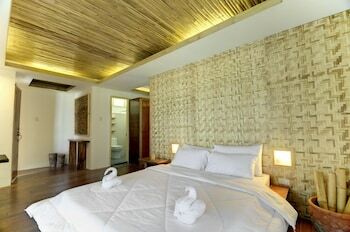 For only around PHP 3,400.00, this accommodation comes with a complimentary breakfast good for two people. For people who want to experience utmost exclusivity and also don’t mind paying extra for accommodation, The Kota Beach Resort has a Beachfront Suite for you. 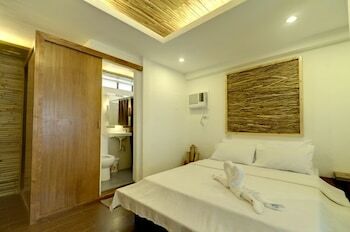 They offer a fully air conditioned room with a queen-size bed and a double-deck single bed as well as a wide outdoor terrace, personal fridge, and hot and cold shower for PHP 3,800.00. 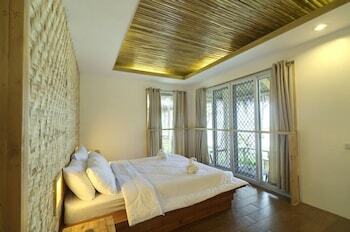 Like the Beachfront Cottage accommodation, Beachfront Suites also have complimentary breakfast for two. All their rooms are good for three people and extra day beds are available upon request with an extra charge of PHP 200.00 per person. 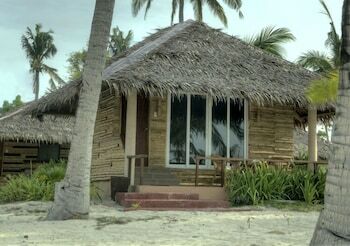 Rates at The Kota Beach Resort are also inclusive of complimentary roundtrip transfers from Sta. Fe pier to the beach and back. 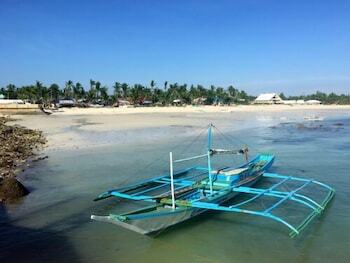 Bantayan Island has a bit of culture, nature, and entertainment. Its distance to the distinct towns of Sta. 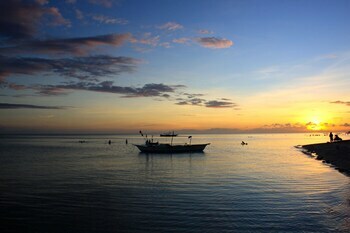 Fe, Bantayan Proper, and Madridejos allows opportunities for adventure. Your venture to the Queen City of the South will never be short of activities to do. Aside from island hopping to the Virgin Island, Kinatarkan Island, and Mambacayao Island, you can also hire a motorbike to further explore the beauty of its nearby towns. At the town of Santa Fe, you can try various activities including snorkelling at the Marine Sanctuaries, natural cave swimming at Eden Resort, bar hopping at the strip in the town, hanging out at Ritzy’s Pizza or Trekker’s Café, and enjoying band night at Blue Ice. 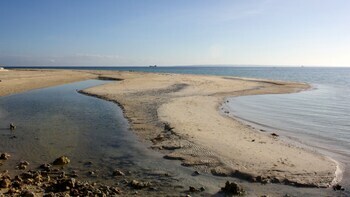 Bantayan Nature Park is also worth a visit because of their fish spa, cave, and mini zoo. You can also enjoy Cebu’s finest danggit and sticky rice when you are at Bantayan Proper. If you are in need of an extra serene experience while you’re there, you can also drop by The Saint Peter and Paul Cathedral. Meanwhile, at Madridejos, you can explore the Kota Park and catch the wonderful sunset. The Kota also makes arrangements for boating, kayaking, and body massage sessions onsite. This picture-perfect paradise in Cebu makes a great choice for travelers who love serenity as much as adventure. 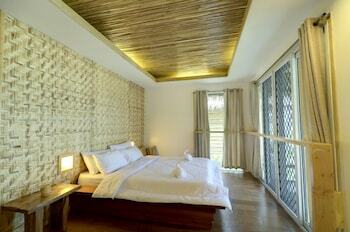 Kota Beach Resort surely is a place that is to be considered a luxury in itself. With tons of activities to do and a quaint view that you can never have in the metro, your vacation will absolutely be one for the books. With a stay at Kota Beach Resort in Santa Fe, you'll be 1.2 mi (1.9 km) from Santa Fe Ferry Terminal and 6.6 mi (10.6 km) from Bantayan Public Plaza. 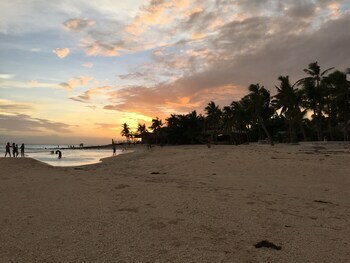 This beach resort is 6.8 mi (10.9 km) from Bantayan Public Market. The front desk is open daily from 7 AM - 7 PM. There is no after-hours reception at this property. Guests arriving late won't be able to check in until the next morning. 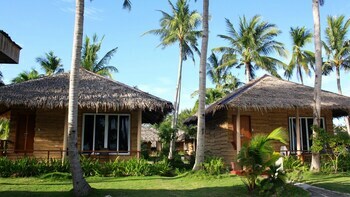 One of the best resort in bantayan island.. No regrets. The view is amazing and worth payung for. Cheap price for their food. 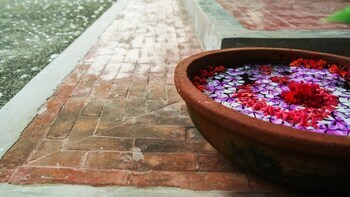 "Fab Stay at Kota Beach Resort"
Very smooth check-in process. Staffs were accommodating and friendly specially. Absolutely Beachfront. Great food choices! 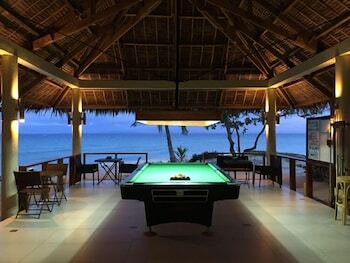 Will surely consider this place again on my next visit in Bantayan Island! Overall, It was indeed a pleasant stay and will surely recommend this property to my friends!! !